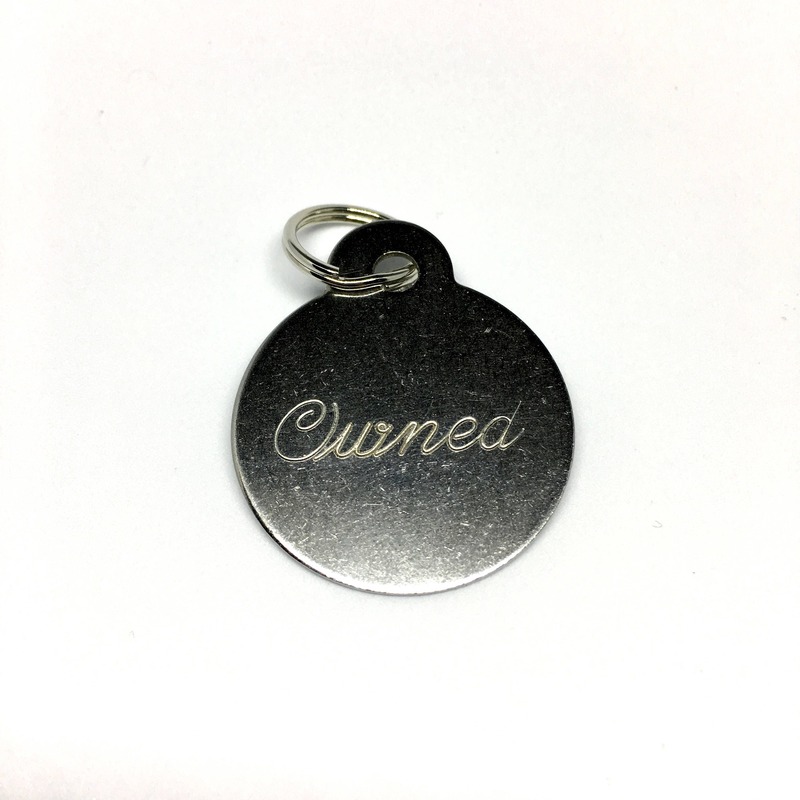 Engraved collar tag with "Owned." Made of stainless steel with a small split ring attached. Items are generally shipped 3-5 business days. Standard shipping does not include tracking, though we do have paid upgrades available for those who would like tracking or rushed shipping. Custom pins and tags are always welcome and available! Don't hesitate to message me! 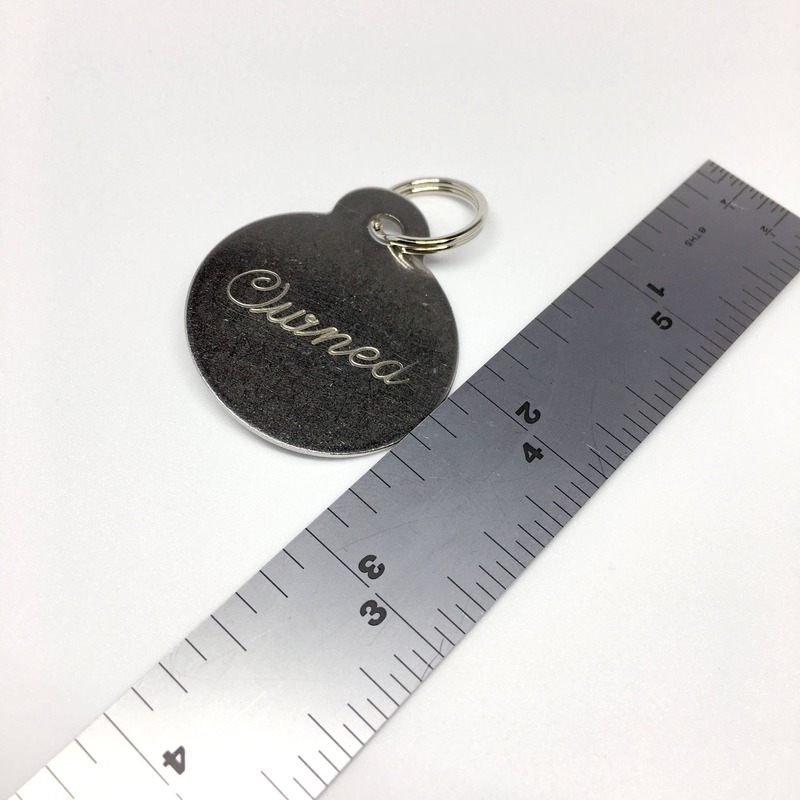 Custom collar tags cost $14. I love it! It’s pretty big for my size but it’s amazing. Thank you!